- Gildan Heavy Blend 8.0 Ounce Youth Hooded Sweatshirt. 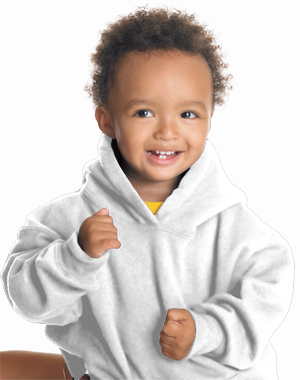 Gildan Heavy Blend 8.0 Ounce Youth Hooded Sweatshirt. Gildan Heavy Blend 8.0 Ounce Youth Hooded Sweatshirt. 8.0 ounce, 50/50 cotton/poly fleece. Double-lined hood with matching drawstring. Set-in sleeves. Double-needle stitching throughout. 1x1 rib with spandex, pouch pocket. Quarter-turned body. ANSI/ISEA certified as background material for Safety Green. Youth sizes. No drawstrings. CPSIA Tracking Label Compliant. New improved specs. Longer body. Tear away label. Sizes: XS-XL. Neutral: White. Heathers: Dark Heather, Graphite Heather, Heather Sport Dark Green(40/60), Heather Sport Dark Maroon(40/60), Heather Sport Dark Navy(40/60), Heather Sport Royal(40/60), Heather Sport Scarlet Red(40/60), Sport Grey. Colors: Azalea, Black, Cardinal Red, Carolina Blue, Charcoal, Forest Green, Garnet, Gold, Heliconia, Irish Green, Light Pink, Maroon, Mint Green, Navy, Orange, Orchid, Purple, Red, Royal, Safety Pink, Violet.